Body Butters are usually thicker than lotions and are intensely effective at rejuvenating extremely dry skin. Butters usually contain plant/vegetable based-oil; many from cocoa beans or shea nuts. The fact that Body Butters contain essential omega 3 fats makes them amazing moisturizers. Omega 3 fats are also known to help calm inflammation which can really ease painful skin flare-ups. 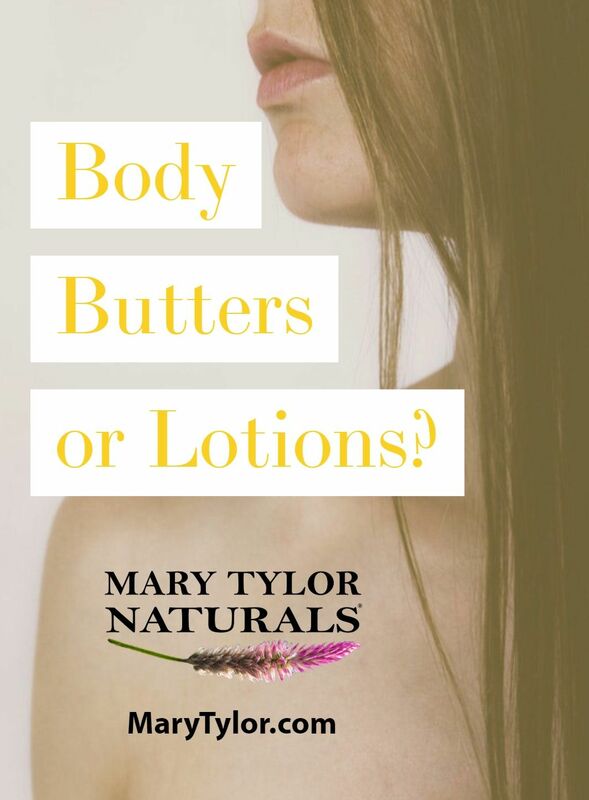 Now, body butters are really great to moisturize your skin and problem areas but they aren’t always great for your face because they may cause breakouts. That’s when a good lotion may be the way to go. Lotions are usually lighter and non-greasy so they aren’t as likely to clog your pores in your T-zone or the more oily areas of your face. Lotions are generally a mix of water and oils that will be quickly absorbed into the skin. Since lotions are an emulsion blend it is hard to find a plethora of DIY lotion recipes. This is why our recipes are butter based. We’ve been focusing mostly on body butters like Shea, Cocoa, Mango & Jojoba because they are known to be rich in vitamins with a nice mix of vitamins A, E, C, & F. We are also in love with these butters because ours are Certified Organic and that means Chemical Free! Since our entire family uses everything we offer we are super excited to have these products that are organic and work for our kids. In the end that’s what really guides your decision… What Works! You may find lotions work best for your face and butters work best for the rest. We hope this helps answer your question. Wishing You a Healthy & Happy Day!